N9 is an elaborate combination of silver aluminum panel and a black plastic base, providing a quality look as well as stable and reliable performance. 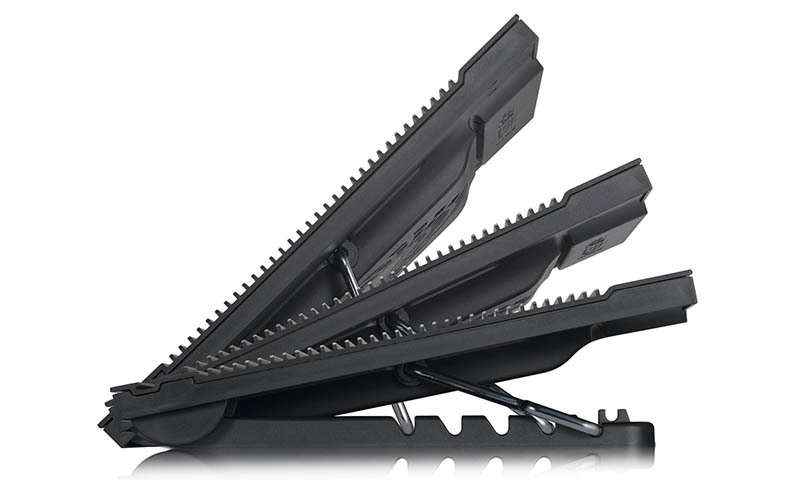 6 adjustable usage angles to deliver the highest levels of user comfort. The inherently contradictory features of flexibility and stability are brought to perfect unison in N9. 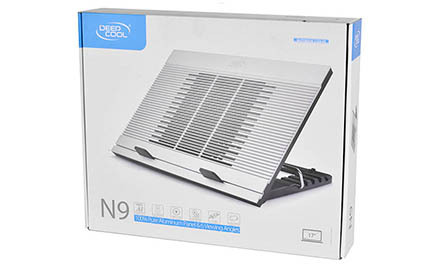 As a successor to the acclaimed N8 series, N9 has inherited the essential features of the all-aluminum panel and tried-and-tested airflow channel design to keep the cooling air flowing. 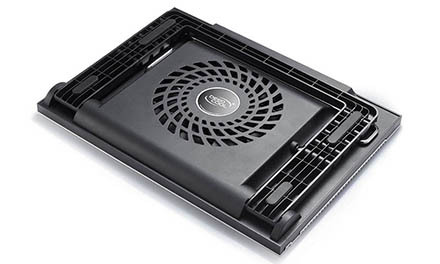 N9 is a definitive advancement in cooler material engineering, offering greater cooling performance by expanding cooling airflow contact with hot surfaces which then accelerates heat dissipation and heat removal with the high-volume airflow. 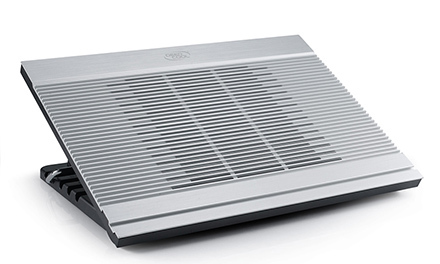 Choose the classic black color scheme or the natural silver of aluminum. N9 provides impressive visuals to meet your aesthetic demands. 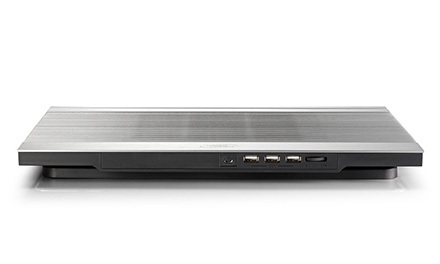 N9 has 4 USB ports, including 1 micro USB port to connect the N9 to a notebook, and 3 USB ports for connecting to external USB devices, providing extreme convenience to users who need to work with multiple devices. 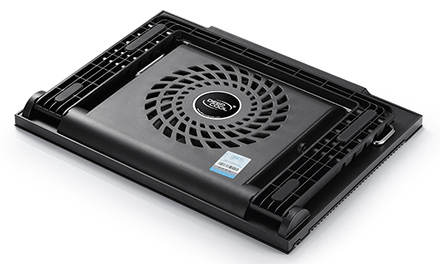 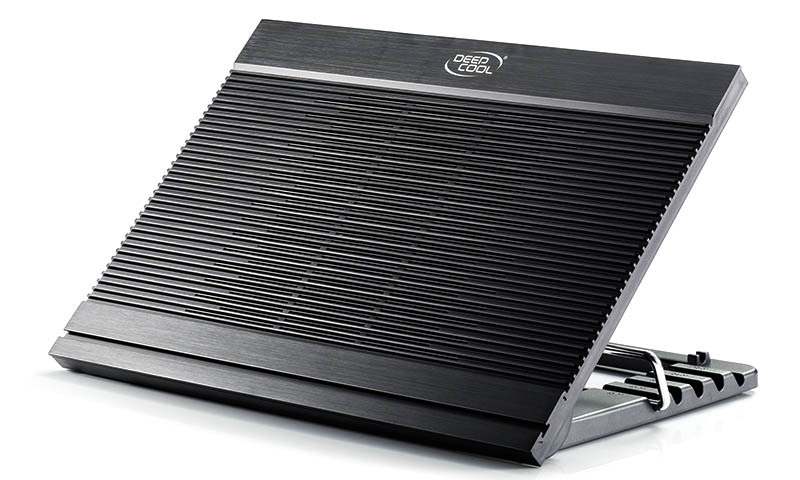 The highly efficient 180 mm Fan is further enhanced with the massive panel surface and innovative airflow channels, allowing N9 to eliminate any concerns of notebook overheating. 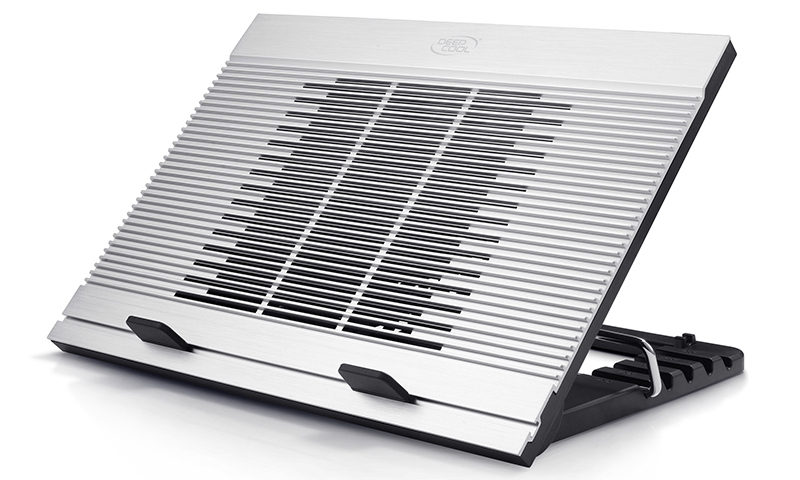 6 adjustable usage angles for the massive aluminum panel design. 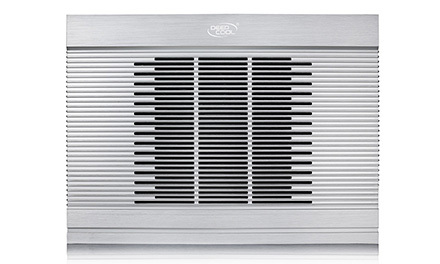 Comes in classic black or natural silver color schemes. 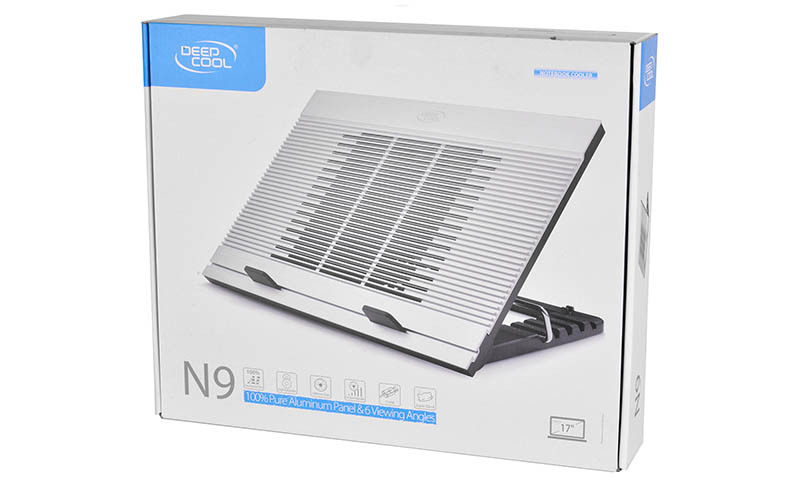 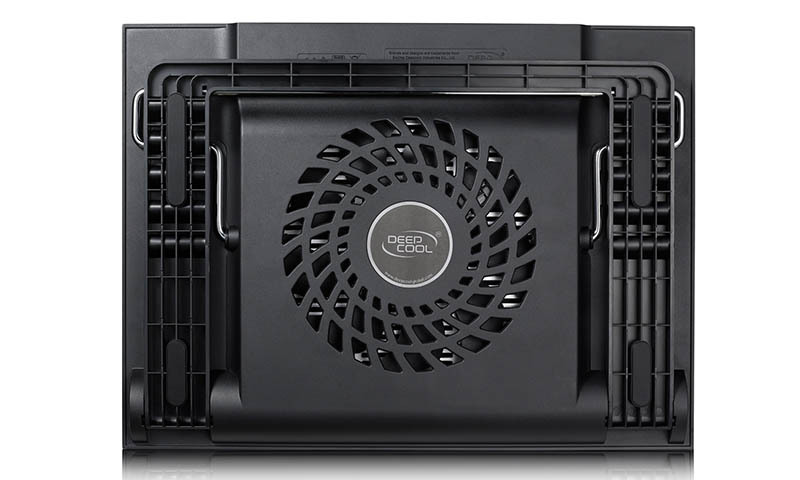 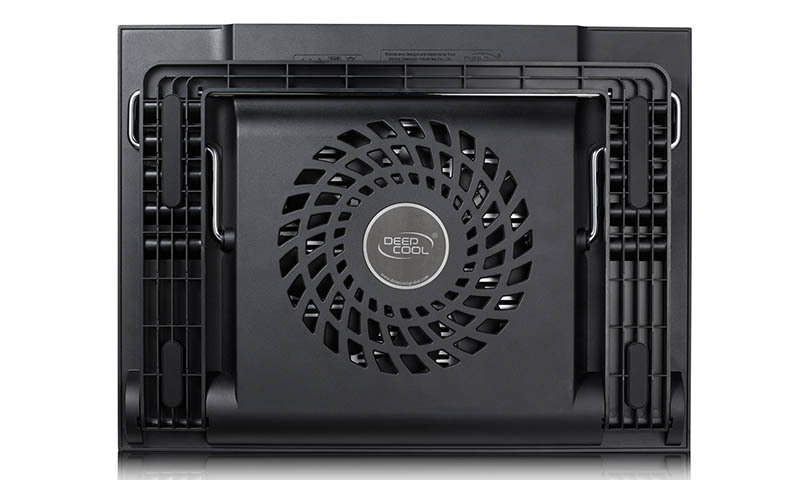 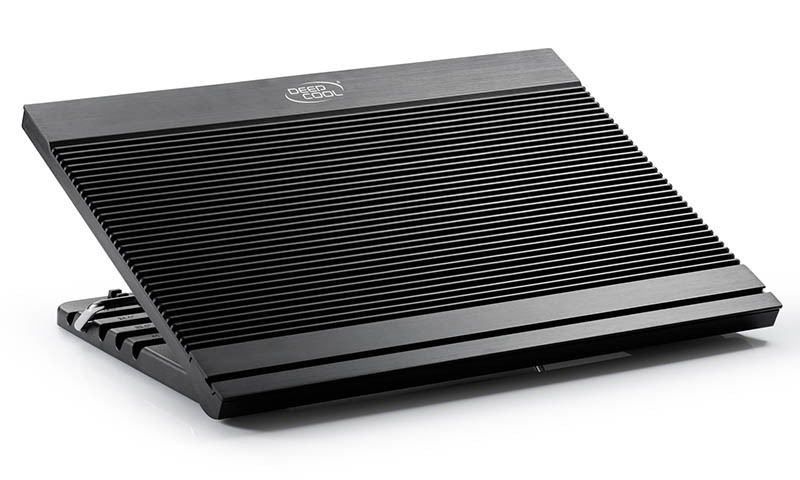 N9 is the definitive cooling partner that elaborately combines flexibility and stability. N9 is provided with a specialized anti-slip baffle that provides quality anti--slip performance. 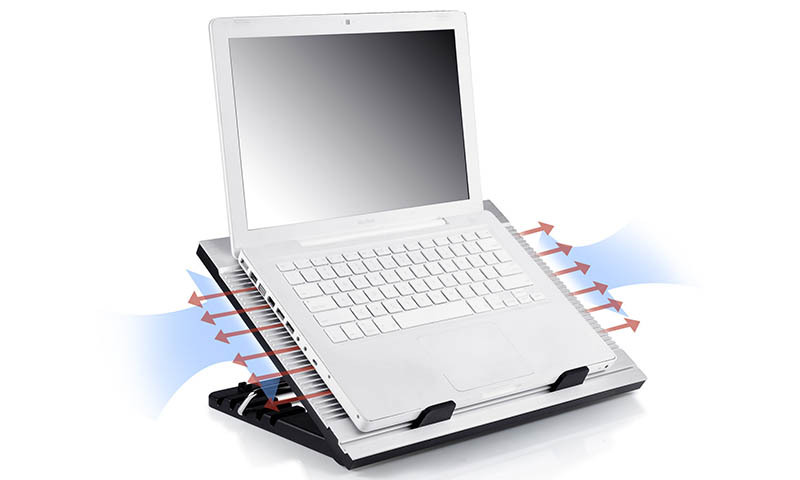 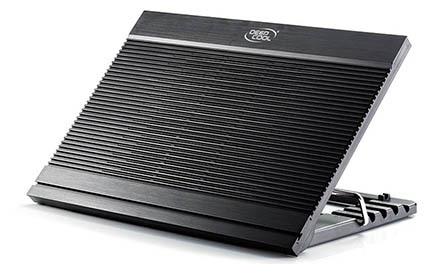 These baffles offer enough friction to safely support a notebook at any usage angle. 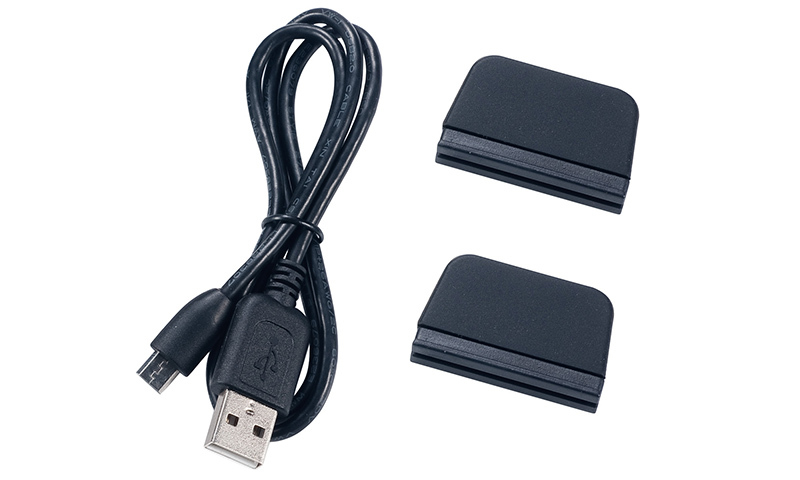 The distance between the 2 rubber buckles can be freely adjusted according to notebook size to provide a higher degree of ergonomic freedom. 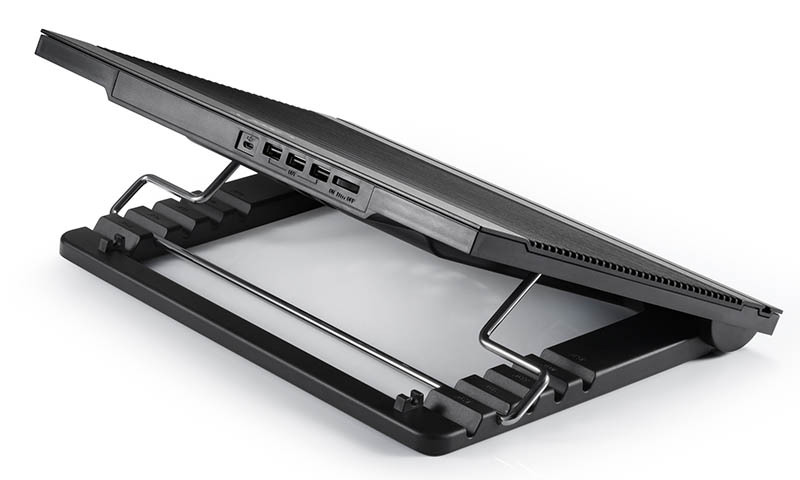 N9 offers 6 different supporting angles that allow you to adopt any postures for relaxation, entertainment, work, whether you are seated or lying down, alleviating spine strain while providing comfort to your physiological curvature of the spine. 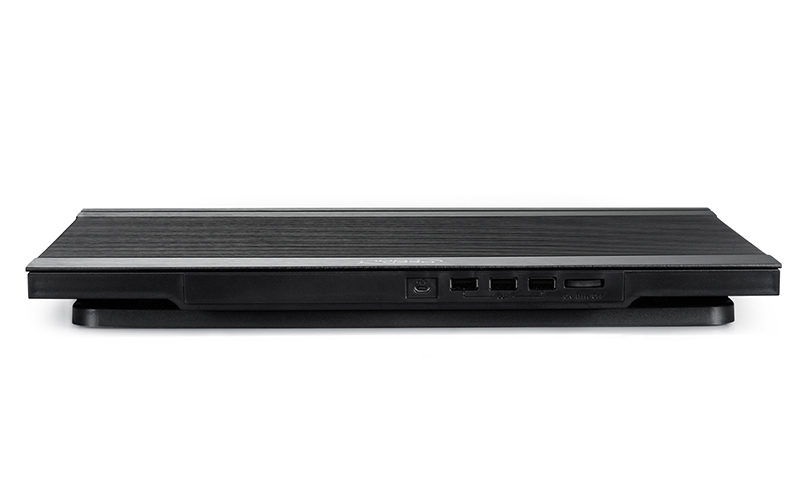 N9 boasts an area of 0.106 m2 and is capable of accommodating a 17-inch notebook, perfect for fans of extra-large laptops. 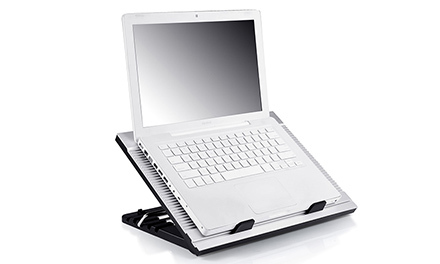 The edges of the aluminum panel and channel spines are provided with additional machining to eliminate chances of scratching the user’s skin or prized notebook coating. Sturdy steel frame supports for the aluminum panel provides N9 with impressive stability, providing reassuring safety for a notebook placed upon the panel. 6 adjustable usage angles offering more options for achieving user comfort. 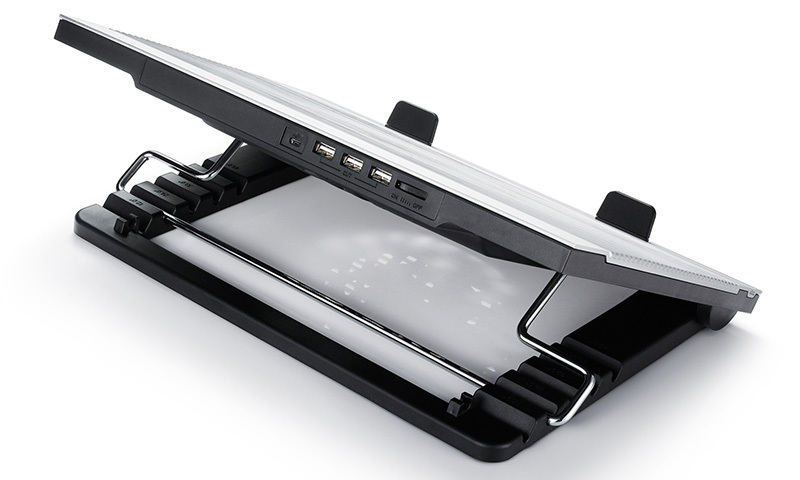 4 USB ports allow users to conveniently work with external USB devices. 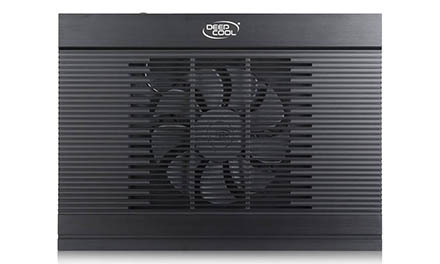 Adjustable fan speed to achieve balance between performance and quiet operations. 3 protective features for safe use at any angle.